In Firefox (or another web browse)r, navigate to http://easyappointments.org. Click on the “Latest Version” button on the center of the screen. Select for Firefox to open the file in ‘Archive Manager’ (this should be the default) and then click the “OK” button. In the Archive Manager, click the “Extract” button in the menu. 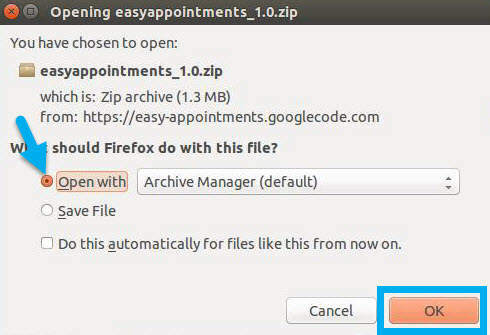 The Easy!Appointments zip file does not have a self contained folder. Therefore, create a folder in the user’s Home (A), give the folder a name (B) and extract the files into the new folder by click on the “Extract” button (C). Note that this tutorial names the folder “ea,” which will appear in following commands. Click on the “Quit” button when the extraction is complete. Open Terminal and type in the following command to change the ownership of the folder to the web server. Then change the permissions of the folder so that the web server can edit, but others can only view. Move the folder to the web server directory. 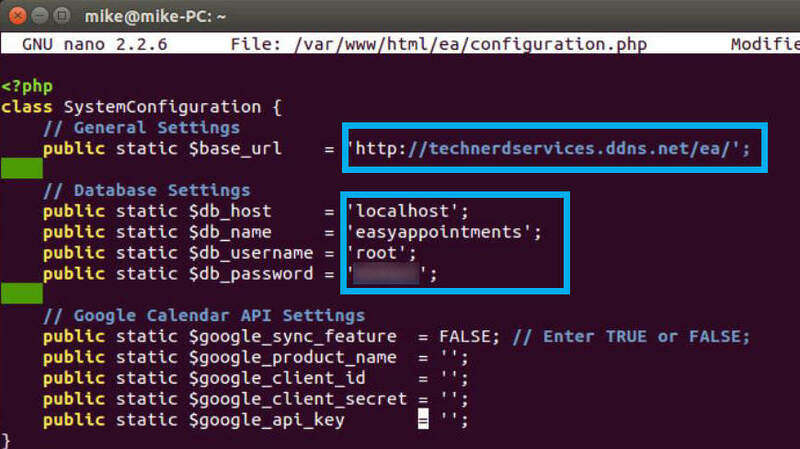 Type in the following command to edit the configuration file of Easy!Appointments. 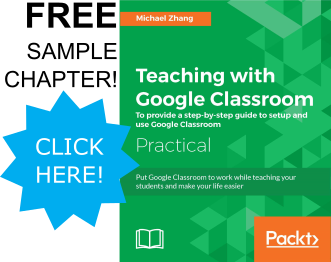 Add the website address and database information into the configuration file. Optionally, add the Google calendar sync settings to this file. Save the configuration with “Ctrl+O” and exit the text editor with “Ctrl+X” on the keyboard. Restart the Apache web server for all changes to take effect.